Hope everyone had a lovely Christmas & New year! Welcome back, kinda tough to get back into it after all of the Christmas excitement has passed, I’m sure all of those New Year’s resolutions will kick in some time next week! Some great Eagle results from the Christmas races below too, well done to everyone involved in races over the past couple of weeks! The next important date for your diary is Wednesday the 16th January, when we have our Club AGM in the Imperial Hotel on South Mall. It is really important that we have as many members as possible at the AGM so please do try to attend. Plans will be discussed for the year ahead along with the clubs progress over the past year, and you get tea/ coffee & biscuits too! Look forward to seeing you there! Club awards night will be January 26th in the Bodega and you have received an email from Grellan regarding this. Online registration has opened for our Club race on Sunday 17th February 2019, please share on social media, share the link below or print the flyer to put it on work, school or community notice boards, the more publicity we get the better! Although there are a lot of races over the next few months, there are not many 5 mile races so it is a great stepping stone to the spring ten milers! Club members are asked for the most part to help out on the day and there will be additional emails about this in the coming weeks. We had an enquiry if any club members are doing the Barcelona Full Marathon this year, we have one club member interested and just wondering if there are any others heading the same direction on March 10th 2019. We can put people in touch if that helps. Long Runs for the weekend ahead: Thank you, we have a brilliant selection of runs this weekend. Please contact the run leader if you plan on joining. A very large turnout from the club in Belgooly. Alan was 4th overall with Vivian, Fergus, Pat, Tom, Joaquim, Annemarie, Helen, Andrew & Frances, in Category Prize winning positions. Well done to all who took part. A good turnout from the club in Togher last Sunday. A great pb and top ten finish for Damian. 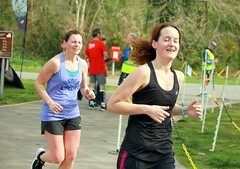 There was a number of other impressive pb’s for other club members also. I won’t name them for fear of leaving someone out! Well done to all. Andrew O’Farrell picked up a category prize on the day also. Ruairi was 2nd home at the Christmas Day parkrun in Ballincollig. Olga was the 3rd lady home. 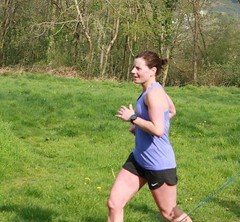 Karen was 3rd lady home at Glengarriff parkrun last Saturday. 3 spots on the podium for Eagle AC on New Year’s Day in Ballincollig! Well done Damian, Ruairi and Elaine! It was a great Eagle 1,2,3 at this event in Carrigaline over Christmas. Well done to the 3 lads, all with impressive times as well. Full results haven’t been listed. 2 members took part in this 10k on New Year’s Day with both picking up category prizes. Well done to Denis and Richard. CLUB AGM: Save the date Jan 16th 2019, The Imperial Hotel. CLUB AWARDS Night: Save the date, Jan 26th 2019. A strength and conditioning workshop was held about a year ago in the Rochestown Park Hotel and about 30 members took part. The idea is to now build on this and get members used to a set routine of exercises. The club is looking at holding a series of Strength & Conditioning Classes in the New Year. The new proposed programme in 2019 will show you a sequence of exercises to do and the same sequence will be used for every class. The objective is that the exercises are drilled into people so that they are easily done at home. Anyone serious about improving their race times should be looking to supplement their normal running training with some strength and conditioning sessions. These can result in enhanced upper body strength and improved running economy. We have almost made it to the weekend before Christmas, and I think it must be Christmas bonus that we have a huge selection of weekend runs; from Friday through to Monday, thank you so much to all who have sent in runs! Do your best to get out and join at least one of the runs over the 4 days and wish your club mates a Happy Christmas. A special mention to the Christmas Eve run which is suitable for all club members and is a really nice start to Christmas. There are quite a few bits of information below to look through this week, and please do take a moment to make your nominations for this year awards night, only 3 days to the closing date and the link is below. I would also like to take this opportunity to wish you and your families a wonderful Christmas and a happy and healthy New Year. Thanks again to all in Eagle AC for another great year of running, training and racing, with the odd social night out thrown in too. Thank you especially to the many club members who put in a lot of work to keep the club running smoothly, and everyone who has helped out throughout the year. We will take a break from the email next week, and report back on all the Christmas races in January. We look forward to another successful year for Eagle AC in 2019. Enjoy the festive season! As mentioned in last weeks email the club is looking to run a cardiac first responders course for members to up-skill in CPR techniques and the use of the AED. We need 8 names for this course to go ahead and are still a few short of this number. To put it quite simply a few hours of your time could save a life. Please do let Mairead or myself know if you are interested and we can proceed from there. The cost of the course would be covered by the club. In preparation for the Club Awards Night which will be held on Saturday 26th January in the Bodega, John and Grellan are looking for your nominations for Best Female Athlete, Best Male Athlete, Best Performance, Most Improved Athlete and Club Person of the year for 2018. They sent out a email in regards to this during the week. The email seems to have ended up in a few people’s spam folders so maybe have a look there if you haven’t received the email yet! The closing date for the receipt of nominations is midnight on Sunday next, 23rd December. Please take the time to send in your nominations if you can. Thank you, we have a brilliant selection of runs this weekend. Please contact the run leader if you plan on joining. *Option 2: (Same time , same place) Dermot Slyne will lead 12/13 miles at 8:45 mm pace approx. Pace: This run is suitable for everyone, it is a social run with club members, and a great reason to get a run in on Christmas eve! Route: Mahon loop taking in an extra section by the Atlantic Pond and Pairc Ui Chaoimh. Best Bits: Coffee to follow the run at the Bean Leaf Coffee Shop! 9.30 am approx if anyone would like to join then. Well done to club members who traveled to North Cork to take part in the Newmarket 5k last Sunday. Three members picked up category prizes – congrats to Richard, Elaine and Joe! Thank you to Derek for the Photo Updates. Hope you are all keeping well and on the countdown to Christmas. Well done this week to the Eagle AC members show took on the Clonakilty Half Marathon and 10K last weekend, results below from Ruairi. Well done also to those out to support the ‘Simon’ Turkey Trot and those in the Park runs over the weekend. A couple of notes this week. Firstly the Club is looking to run a cardiac first responder’s course for members, to up-skill in CPR techniques and the use of the AED. We need 8 names for this course to go ahead and put quite simply a few hours of your time could save a life. Please do let myself or Mairead know if you are interested and we can proceed from there. The second note is regarding the weekend long runs. It would love to see more long runs advertised for the weekends. All that is needed is a meeting time, place and an idea of the distance and pace you would usually run. It would be great if these runs could be available to all club members, especially newer members who may not have contact numbers for people etc as yet. Please do send me and email, text or message on Wednesday or Thursday if you are planning a run over the weekend, and we can circulate this in the weekly email. Also if you are new to the club and would like to join a group run at the weekend please do get in touch and we can always point you in the right direction. Saying all that we have a great selection of runs this weekend and thank you to all who have been in touch. Looks like this weekend marks the start of the Christmas races, best of luck to all involved. Don’t forget you Eagle AC Christmas stocking fillers ! Thank you to those who have offered to lead the long runs, this weekend. Please contact the run leader if you plan on joining. Route: Out and back by CIT paths , taking in UCC 10k loop also. Well done to all club members who took part in the last BHAA race of 2018. 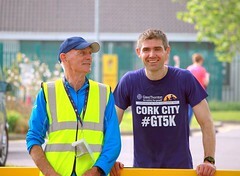 Proceeds from the race went to Cork Simon Community. There were no category prizes for this run. 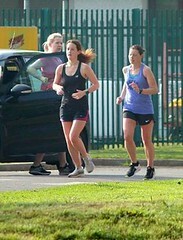 Congrats to Olga who was the first lady home at Ballincollig parkrun last Saturday. Well done to all Eagle Ac members who ran the Waterford Half marathon last Saturday, always a challenging course but some great performances by the Eagles on the day, thank you to Ruairi who has all the results below. Congratulations too to Andrew O Farrell and Tony Merritt who opted for the warmer option with the Valencia Marathon last Sunday. It’s always worth the trip when both the lads ran PB’s on the day, a beautiful marathon and one to consider i have been told! Best of luck to all the Eagle AC athletes taking part in the Clonakilty half marathon this weekend, we hope that both the weather and the hills are kind to you all. There are two other pieces of information below from John Desmond first is the strength and conditioning workshops for the club please do remember to fill in your name and email to the survey if interested. The second is a coffee run on Christmas eve as is the club tradition at this stage, please see below for details and options of additional miles can be added as we get closer to the date. There is no better way to begin Christmas Eve than with a club run! Well done to Club member Damian Kenneally who despite the wet and windy conditions in Conna on Tuesday last finished in first place in a time of 10.18. Congratulations Damian! 29. Foley Vivian 3733 1.17.43 1.17.42 5.56/M M45 Eagle A.C.
34 O’Keeffe Sean 2272 1:18:26 1:18:26 5:59/M M40 Eagle A.C.
59 Nugent Fergus 2434 1:21:47 1:21:44 6:15/M M40 Eagle A.C.
83 O’Connor Pat 3293 1:23:42 1:23:40 6:23/M M50 Eagle A.C.
104 Cotter Paul 1733 1:24:43 1:24:40 6:28/M M40 Eagle A.C.
112 O’Keeffe David 2612 1:25:21 1:25:16 6:31/M M40 Eagle A.C.
118 Fox Tom 2522 1:25:32 1:25:26 6:32/M M50 Eagle A.C.
144 Kingston Neil 1241 1:27:26 1:27:15 6:40/M M45 Eagle A.C.
182 Casey Darren 2926 1:28:52 1:28:46 6:47/M M40 Eagle A.C.
405 Bevan Karen 1102 1:36:19 1:36:02 7:21/M F40 Eagle A.C.
421 Power Pat 2497 1:36:48 1:36:33 7:23/M M45 Eagle A.C.
487 Daly Martin 1627 1:38:30 1:38:12 7:31/M M40 Eagle A.C.
524 Egan Ruairi 1403 1:39:09 1:38:52 7:34/M M45 Eagle A.C.
525 Moore Gregg 2757 1:39:10 1:38:50 7:34/M M45 Eagle A.C.
526 Gibbons Gary 1296 1:39:11 1:38:41 7:34/M M45 Eagle A.C.
539 O’Sullivan Olga 2450 1:39:26 1:38:57 7:35/M F40 Eagle A.C.
614 Lehane Finbarr 1027 1:42:08 1:41:23 7:48/M M45 Eagle A.C.
718 Cronin Helen 1251 1:44:52 1:44:09 8:00/M F35 Eagle A.C.
729 Swanton John 1131 1:45:05 1:43:53 8:01/M MS Eagle A.C.
825 Cotter Maeve 3329 1:47:22 1:46:04 8:12/M F40 Eagle A.C.
919 Costello Derek 1038 1:49:09 1:47:52 8:20/M M50 Eagle A.C.
925 Lucey Sean 2296 1:49:15 1:47:56 8:20/M MS Eagle A.C.
1072 Kirwin Ita 1984 1:52:10 1:51:08 8:34/M F50 Eagle A.C.
1960 O’Riordan Fiona 1130 2:14:44 2:12:50 10:17/M F50 Eagle A.C.
Congratulations to club members Andrew O’Farrell and Tony Merritt who took part in the Valencia Marathon yesterday. Both ran great times: Andrew finished the course in 3.47.30 with Tony finishing in 3.48.09. Well done guys! 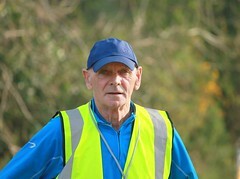 Club Member Ed Fitz was running as a 2 hour pacer in the Border Half Marathon last Sunday. Finishing in a time of 1:59:36, pretty perfect pacing from MRS Fitz. Please note that as of the 5th of December, over 18,000 of the 20,000 places for the 2019 Dublin Marathon have been sold. If you are thinking of running this Marathon next year, you better sign up as it will most likely sell out in the next few days. 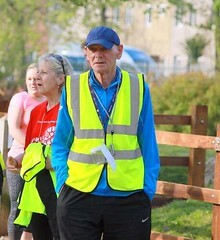 John Desmond will be running three 11 week training programmes for the 2019 Dungarvan 10 mile road race. Almost 50 members have signed up and it is now closed.